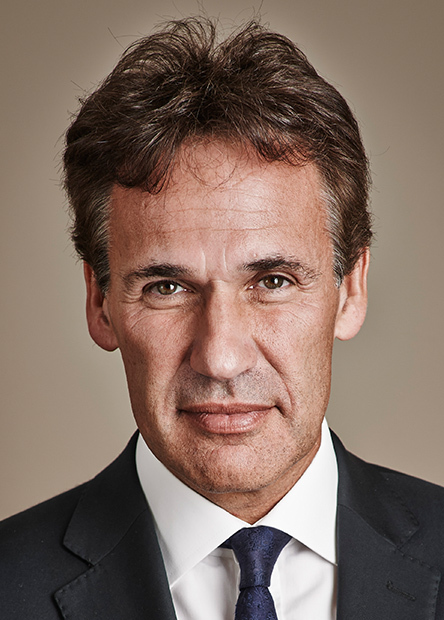 For Richard Susskind, the future of legal service is neither Grisham nor Rumpole. 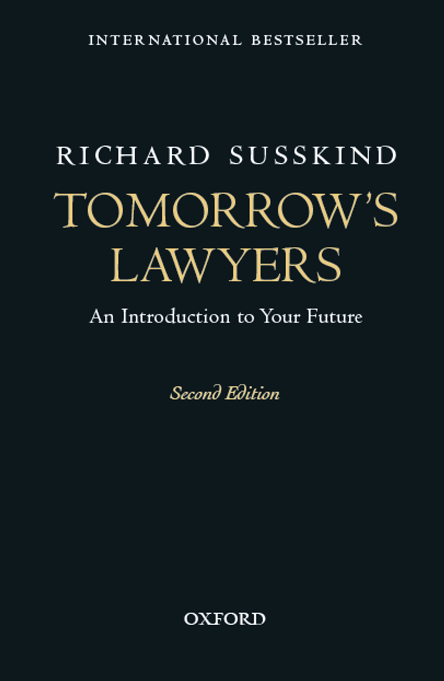 Instead, he predicts a world of online courts, AI-based global legal business, liberalized markets, commoditization and outsourcing, internet-based simulated practice, and new legal jobs. 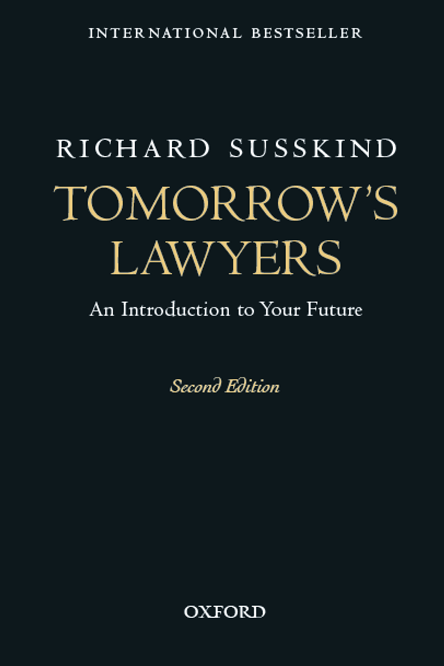 This book is a definitive and updated introduction to this future – for aspiring lawyers, and for all who want to modernize and upgrade our legal and justice systems. 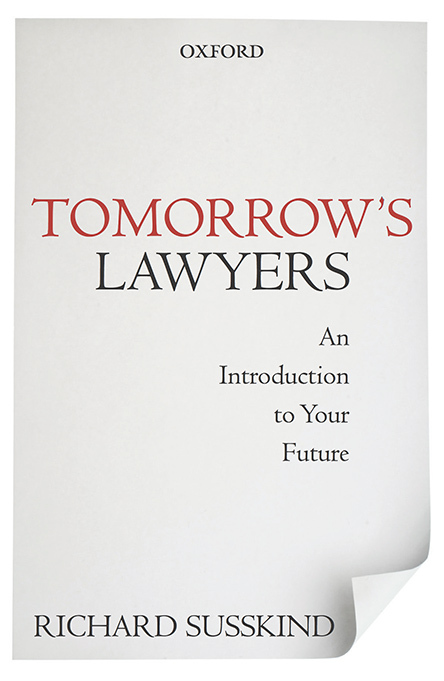 It offers practical guidance for everyone intending to build careers and businesses in the law. 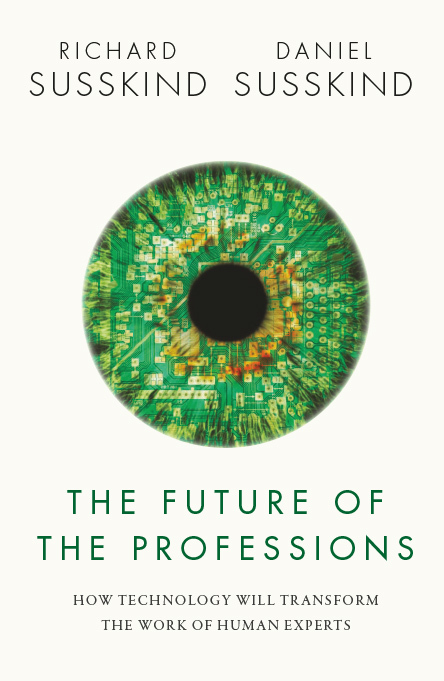 This book sets out two futures for the professions. Both rest on technology. One is reassuringly familiar. It is a more efficient version of what we have today. The other is transformational – a gradual replacement of professionals by increasingly capable systems. 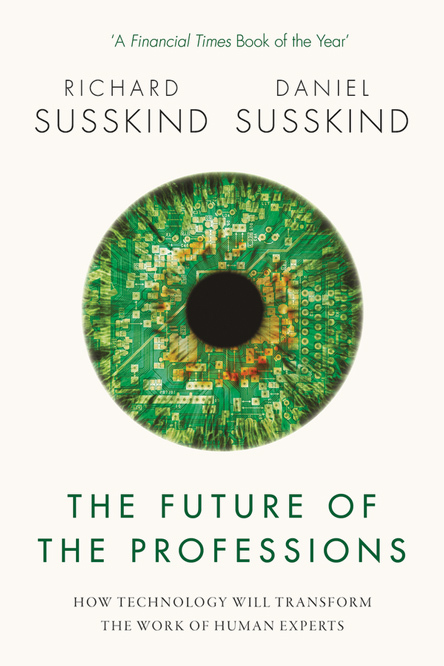 Richard and Daniel Susskind predict the decline of today’s professions and discuss the people and systems that will replace them. In an Internet society, they argue we will neither need nor want doctors, teachers, accountants, architects, the clergy, consultants, lawyers, and many others, to work as they did in the 20th century. The authors challenge the 'grand bargain' - the arrangement that grants various monopolies to today's professionals. They argue that our current professions are antiquated, opaque and no longer affordable, and that the expertise of their best is enjoyed only by a few. In their place, they propose six new models for producing and distributing expertise in society. He has advised on many government inquiries and, since 1998, has been IT Adviser to the Lord Chief Justice of England and Wales. Richard is President of the Society for Computers and Law, Chair of the Online Dispute Resolution Advisory Group of the Civil Justice Council, and Chair of the Advisory Board of the Oxford Internet Institute where he is also a Visiting Professor. He also hold professorships at UCL, Gresham College, London, and the University of Strathclyde in Glasgow. Richard has a first class honours degree in law from the University of Glasgow and a doctorate in law and computers from Balliol College, Oxford. He has received numerous legal industry awards and is an Honorary Bencher of Gray’s Inn. He is a Fellow of the Royal Society of Edinburgh and of the British Computer Society, and was awarded an OBE in the Millennium New Year's Honours List for services to IT in the Law and to the Administration of Justice. He lives in Radlett, England, with his wife and three children. His hobbies include running, golf, skiing, reading and cinema. Although Richard is self-employed and works independently, he does not claim to be a dispassionate analyst or to be free of commercial interests. His passion is the modernization of the practice of law and the administration of justice. His belief that the professions and justice systems should be modernized underpins most of his activities as an advisor and commentator. Richard’s work is not confined to the academic world and to advising in the public sector. He consults widely in the private sector, to major law firms and to large in-house legal departments. He has been an active member of an advisory board of Lyceum Capital, a private equity firm that is committed to investing in the legal profession; and he was chairman of the advisory board of Integreon, a legal and business process outsourcing business. Given his various roles, responsibilities, and interests, Richard is sensitive to conflicts that may arise, and he discusses these regularly with those with whom he works closely. 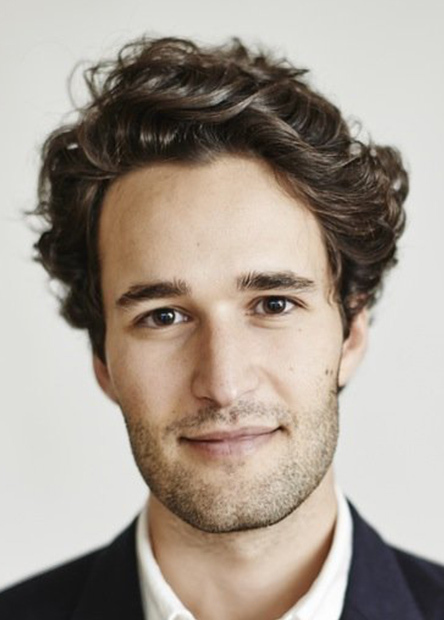 Daniel Susskind is a Fellow in Economics at Balliol College, Oxford, where he teaches and researches and from where he has two degrees in economics. 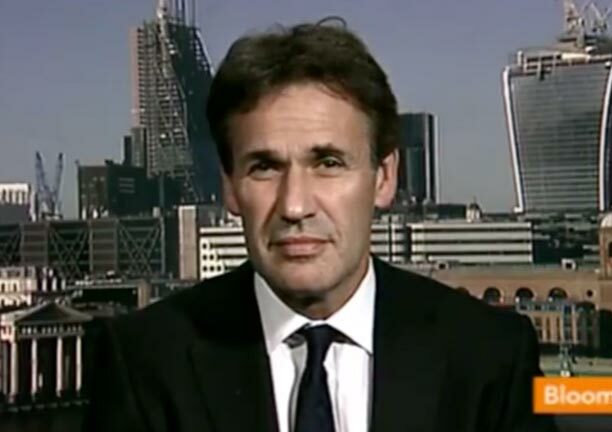 Previously, he worked for the British Government - in the Prime Minister’s Strategy Unit, in the Policy Unit in 10 Downing Street, and as a Senior Policy Adviser at the Cabinet Office. He was a Kennedy Scholar at Harvard University. 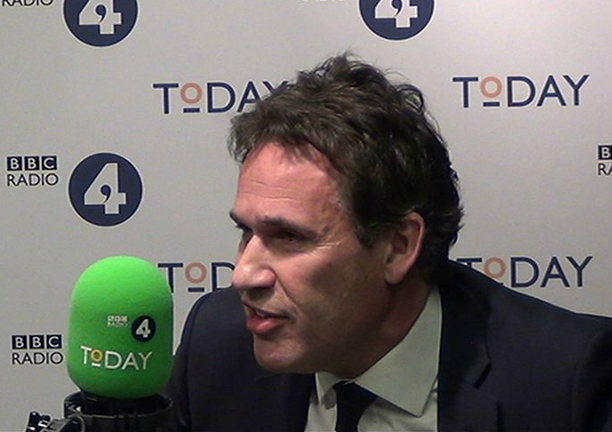 Since 1998, Richard has been IT Adviser to the Lord Chief Justice of England and Wales. 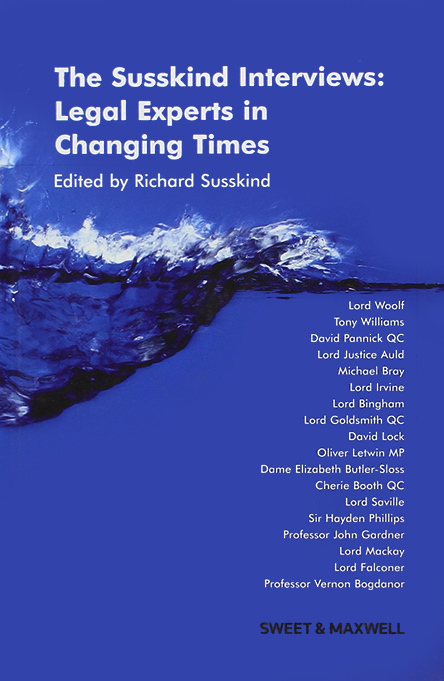 Richard has been IT Adviser to Lord Bingham from 1998 to 2000, to Lord Woolf from 2000 to 2005, to Lord Phillips 2005 to 2008, and to Lord Judge, since October 2008. In this capacity, he works closely with senior judges in England and Wales in helping them identify and articulate the most promising applications of IT for the Judiciary. Also in this role, he works alongside politicians and officials in the Ministry of Justice (formerly the Department for Constitutional Affairs and before that the Lord Chancellor's Department) and with the Court Service. 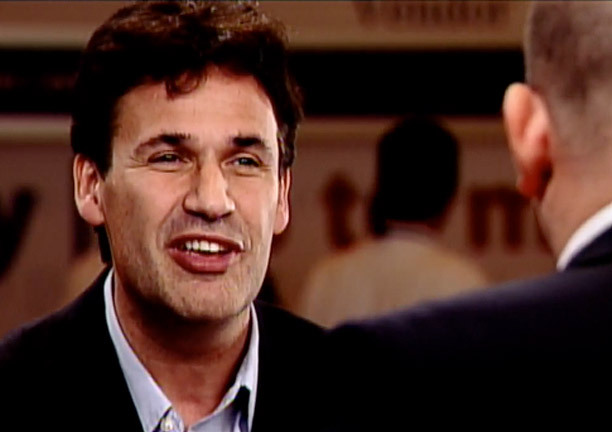 In March 2011, Richard Susskind succeeded Lord Saville as President of the Society for Computers and Law. Richard has been a member of the Society for more than 30 years and was its Chairman from 1990 to 1992. The Society is the leading UK organization for legal professionals advising and practising within the IT sector. Its mission is to be the community for lawyers who understand IT and the related legal and business practice issues and provides thought leadership, best practice, education and standards in these areas. See www.scl.org. In 2011, Richard succeeded Andrew Graham (formerly, Master of Balliol College, Oxford) as the Chairman of the Advisory Board of the Oxford Internet Institute (OII) at Oxford University. Since 2009, he has also been a Visiting Professor in Internet Studies at the OII. 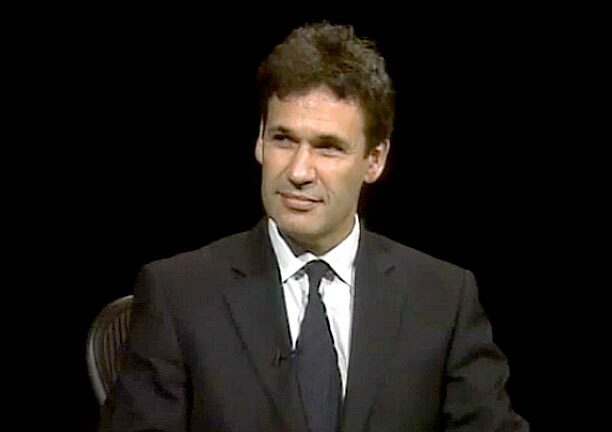 Richard played an important role in the establishment of the Oxford Internet Institute and, since 2001, has been a Founding Member of its Advisory Board. The Oxford Internet Institute was founded as a department of the University of Oxford in 2001, as an academic centre for the study of the societal implications of the Internet. The current home, in a building owned by Balliol College, was formally opened in July 2003. The OII’s academics are engaged in a variety of research projects covering social, economic, political, legal, industrial, technical, and ethical issues of the Internet in everyday life, governance and democracy, science and learning and shaping the Internet. For further information, see www.oii.ox.ac.uk. 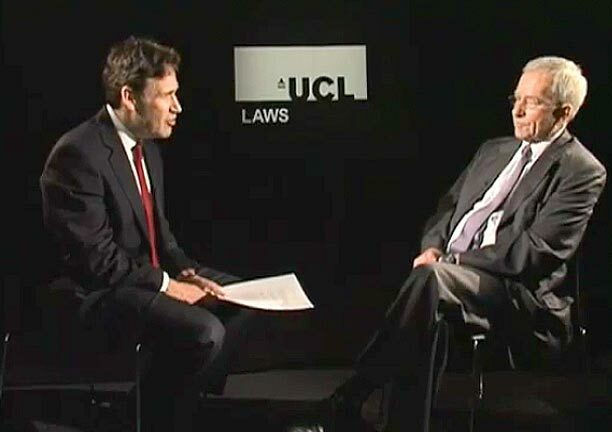 Since November 2011, Richard has been an Honorary Professor of UCL in the Faculty of Laws. 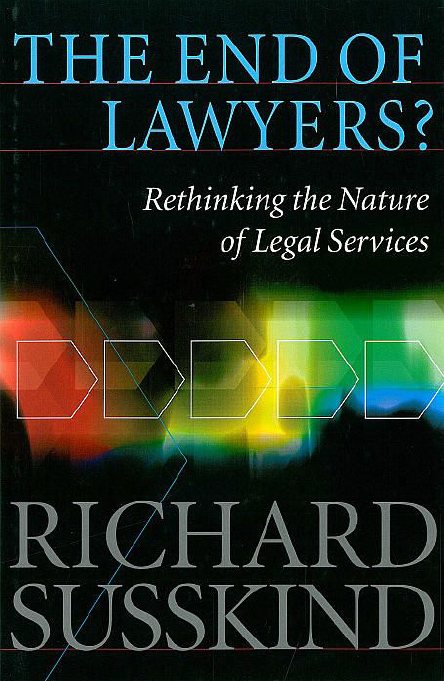 Richard is Emeritus Gresham Professor of Law at Gresham College, London. 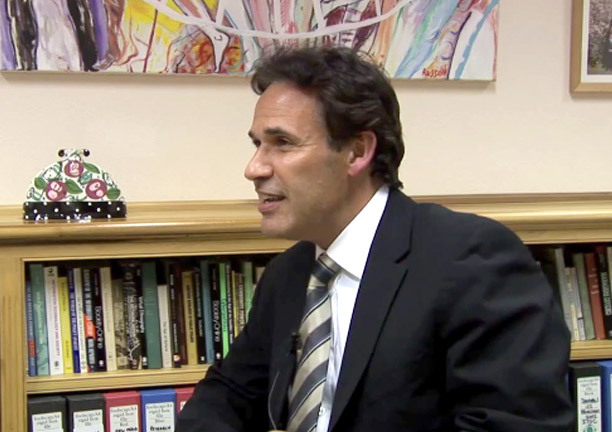 From 2000 to 2004, he was Gresham Professor of Law, and from 2004 to 2010 was the first Honorary Professor in the College since its establishment in 1597. The College was founded in 1597, is supported by the City of London Corporation and the livery company, The Mercers. There are eight Gresham Professors - in music, divinity, commerce, rhetoric, geometry, physic, astronomy, and law. The purpose of the College is and always has been to raise awareness of the latest learning in each of these disciplines. To that end, each professor presents a series of lectures each year. 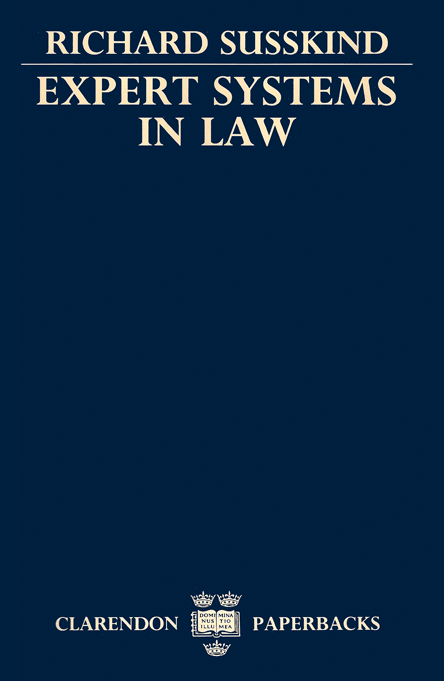 Richard's lectures took the form of 20 public discussions that he held with distinguished legal guests, each of whom, in quite different ways, was exerting considerable influence on the development of legal practice and the administration of justice, both in Great Britain and beyond. 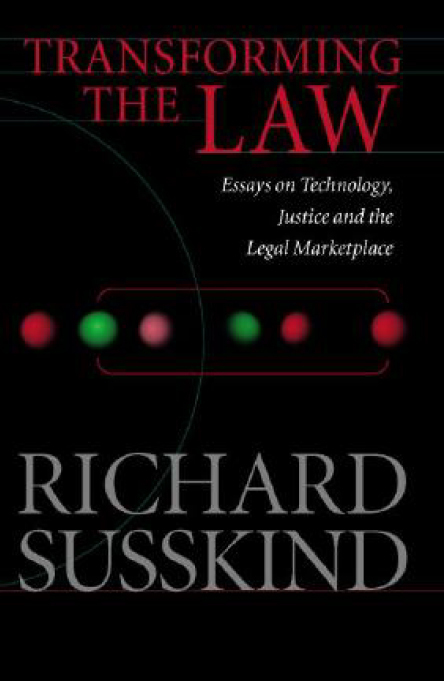 Through frank, friendly, and often light-hearted conversation, Richard explored major trends in advanced legal systems; significant challenges facing modern justice systems; the thinking underlying recent reforms and changes; and the likely shape of the legal world in years to come. His guests included Lord Woolf, Lord Falconer, Cherie Booth QC, Lord Saville, and Lord Irvine. 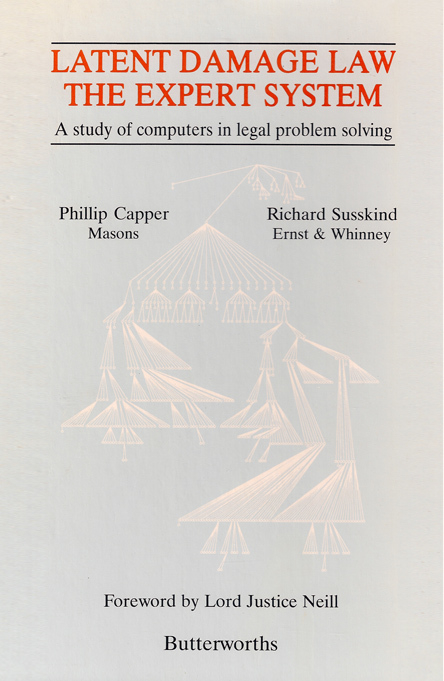 A revised set of transcripts of the interviews is now published as a book - The Susskind Interviews: Legal Experts in Changing Times (Sweet & Maxwell, 2005). Details of the current programme of lectures at Gresham College can be found at www.gresham.ac.uk. 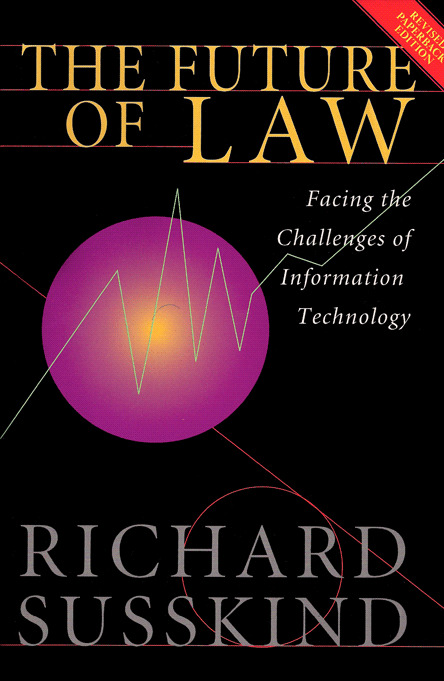 In 1990, Richard was the co-founder (with Professor Alan Paterson) of the Centre for Law, Computers and Technology at the Law School of the University of Strathclyde. At that time, aged 29, he was appointed Visiting Professor. He became a part-time, full professor in 2001 and continues to hold this position. Over the years, his teaching responsibilities have include lecturing to undergraduates, leading Masters seminars (the full-time and pioneering distance learning Ll.M degrees in IT and Telecommunications Law courses), supervising research students, and acting as an external examiner for doctoral work in the UK. In 2002, working with Professor Paul Maharg, Richard produced several hours of web-cast, a very early legal e-learning resource that is still available on the law school network. Students at all levels (including those working towards their Diplomas in Legal Practice) are thereby able, essentially, to attend a virtual tutorial on the impact of IT on the legal world. Richard also organizes the Centre's annual retreat (held each year since 1993), an event which brings together, at Ross Priory, on the banks of Loch Lomond, a small group of leading lawyers in a two-day seminar that focuses on the latest developments in legal systems. In April 2003, Richard was appointed by the Cabinet Office as the first Chair of a non-departmental public body, known as the Advisory Panel on Public Sector Information or APPSI. to advise on the impact of the complaints procedures under the Information Fair Trader Scheme. The sponsor department of the Panel is now the Ministry of Justice. Richard completed his term as Chair in April 2008. Further details about the work of the Panel can be found at www.hmso.gov.uk/appsi. Richard's leadership of APPSI built on his experience as a member of the Modernising Government Project Board (run by the Cabinet Office, 1999-2001). It also dovetailed effectively with his membership, from 2003 until 2005, of the Freedom of Information Project Board at the then Department for Constitutional Affairs. 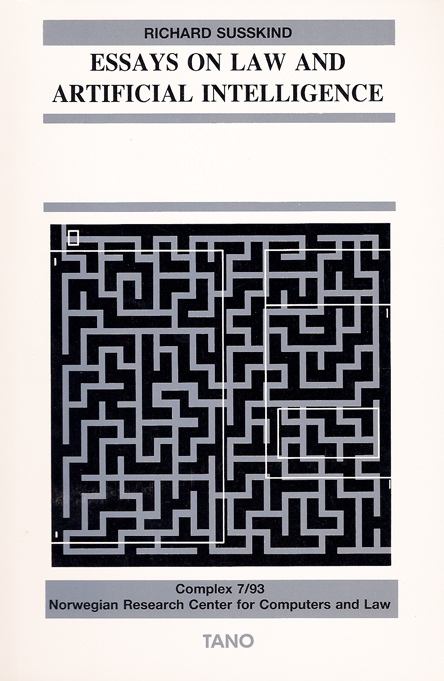 Latent Damage Law - The Expert System Butterworths, 1988 with PN Capper. Richard works with top managers, in the private and public sectors, in helping them to think clearly and make decisions confidently about the future, and to plan for the long term within their organizations. As an independent expert and thought leader, he brings fresh insight to clients, and acts as a catalyst in helping them drive forward their long term planning and implementation. He challenges in a way that is hard to do from the inside as a partner or employee. He advises his clients in a variety of ways. as someone who helps future proof practice areas within firms, exploring how they plan to respond to new ways of sourcing legal work and to the impact of disruptive technologies. Additionally, Richard offers certain clients early sight of his own research and writings. 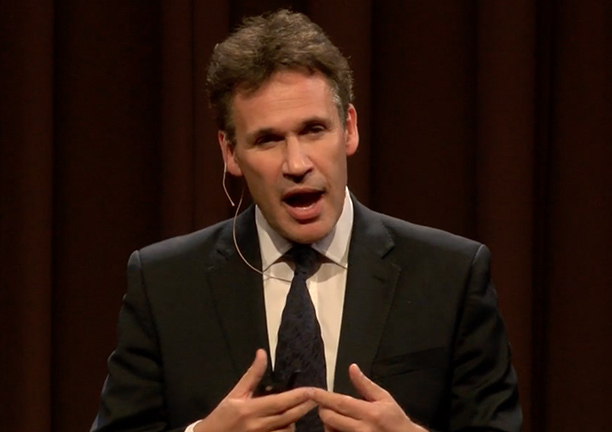 Richard currently makes presentations (mainly keynote speeches) at about 100 conferences, seminars, retreats or other events each year and has been invited to lecture in more than 40 countries around the world. 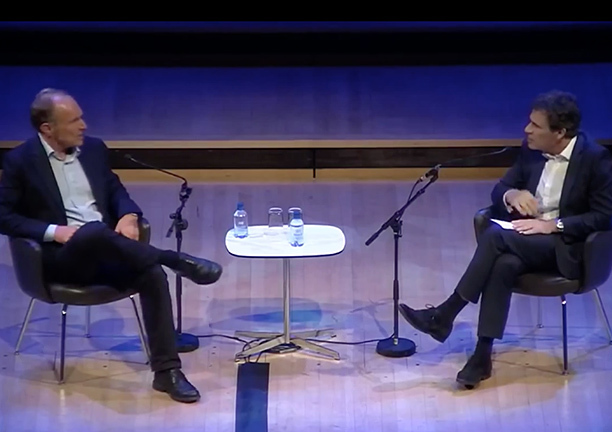 Richard has addressed audiences (in person and electronically), numbering more than 250,000. He has organized various international conferences, is a regular conference chairman and gives numerous major keynote addresses each year. When unable to attend in person, Richard regularly delivers his talks by video link, or on pre-recorded video or dvd, or as a multi-media e-learning presentation. He is also frequently invited to act as a facilitator and chairman of meetings. His speaking subjects include the future of law and legal services, the future of professional service, trends in IT and the Internet, strategy and business planning, the future of government, the future of education, IT strategy for major organizations, knowledge management, and e-business.